Google come sup with another awesome April Fool’s jokes yet again. 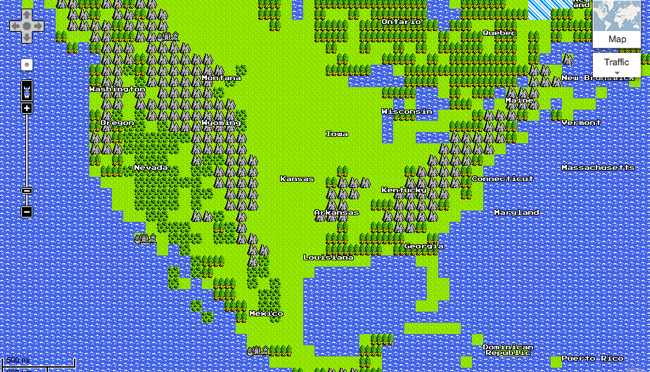 This time, they’ve made an 8-bit version of Google Maps. Just visit the Google Maps web page as usual, click the “Map” button, and you’ll see a “Quest” button that will transform the map into a “Final Fantasy”-inspired world. Google has also made a hilarious video that explains how it works. Check it out.